Happy October. Here’s a meal. The other night, I had the honor and pleasure of donning my apron alongside my most favorite cooking partner. That’s him up there in that picture. Well, that’s our shadow. 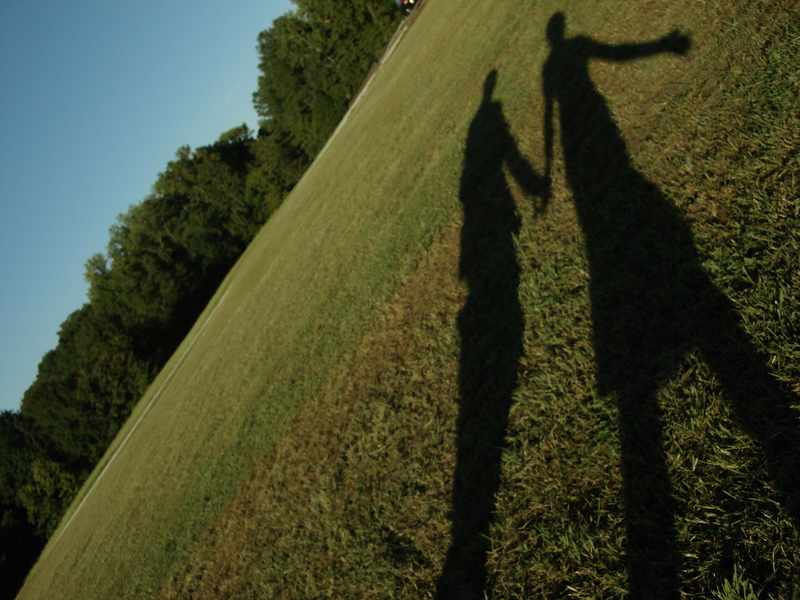 His particular part of the shadow is the left; mine is the right. You probably figured that out. And back to point:: We used to make food together all the time. All the time. But then, that sort of pittered to an all but stop. I really enjoy cooking (I think I’ve mentioned that. ), and so he, in all his wondrous kindness, lets me enjoy it. I put on music; I get in the zone; I experiment. The other night, we cooked together– shared and bounced ideas, prepped ingredients for each other, and chatted. Oh, what joy! What fun! What a gloriously delicious meal. It was pretty simple. However, that’s some of the best food. Right? Pasta:: Cook linguini (or any pasta you have on hand). While the pasta is boiling away, prepare the sauce. Mix sauce and diced tomatoes together. Allow to lightly bubble. Low-medium heat works well. Bread:: Mince garlic. 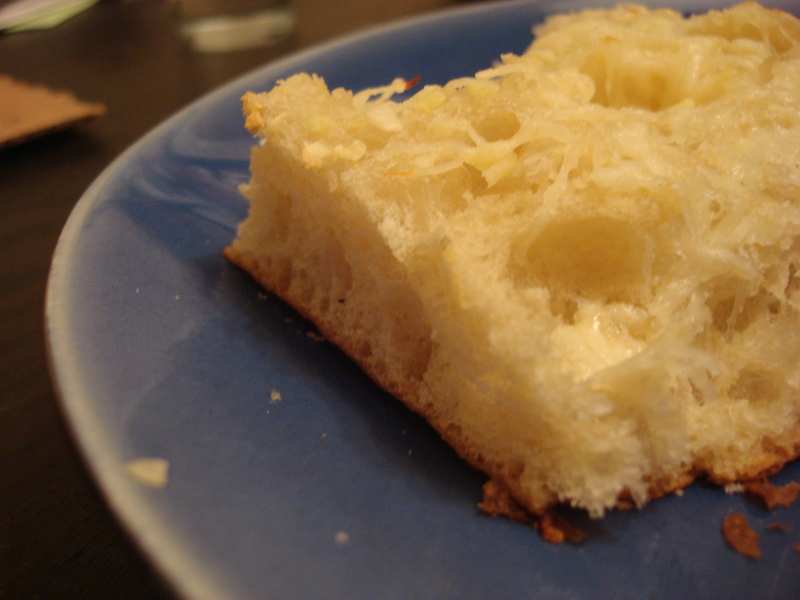 Spread onto sliced focaccia. Add cheese atop. Put into a 350 degree F oven. Cook until cheese is melted and bread is slightly toasty. Back to pasta:: Once pasta is al dente, drain. 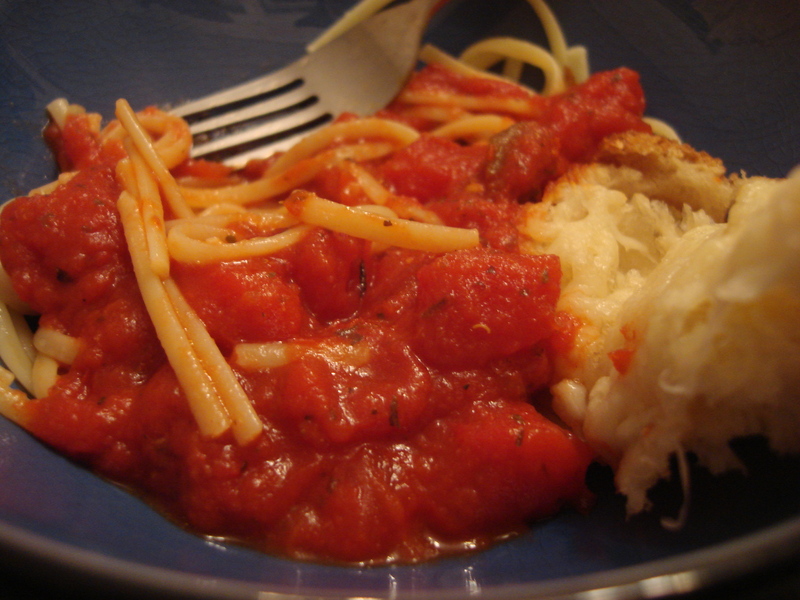 Put back into pot to serve– pasta, sauce, lots of cheese. Hold hands in celebration with your favorite partner chef, and enjoy!!! Optional additional ideas:: capers, bell peppers, spinach, meatballs, parmesan cheese, black olives, broccoli, and I’m sure you can think of plenty more that would be equally delicious.